Doctor Strange was created by Steve Ditko in 1963 and has appeared in hundreds of Marvel comic books since his premiere in Strange Tales #110. Despite a near-constant publication history, Doctor Strange has eluded household-name status for some time. However, with millions watching the trailer for the Doctor Strange movie in the first days of release, it is safe to say that his notoriety is on the rise. This also means that Doctor Strange comic book interest and value should follow suit. 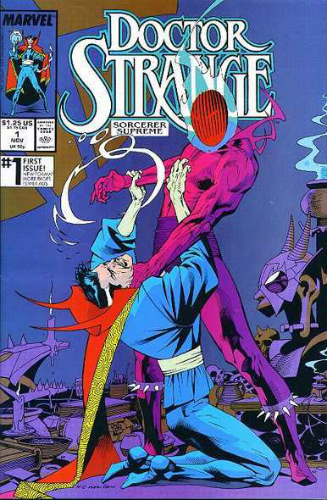 Shop for Doctor Strange Comic Books on eBay. The guide below collects the comic books specific to Doctor Strange in a chronological listing. While major titles are featured, this guide does not include short runs, one-offs, or annuals. This list also excludes crossovers, of which there are many, including The Avengers, The Defenders, Secret Defenders, and random issues throughout the Marvel Universe. Key issues from each title are listed under each comic in question. While this list does not serve as a price guide, it is important to note that the price ranges for Doctor Strange comics spread from a couple dollars to a couple thousand dollars so compiling a complete collection is going to be expensive but, depending on your budget, totally doable. Also, if you are curious about current values, sold listings on eBay are a great resource that is also free. 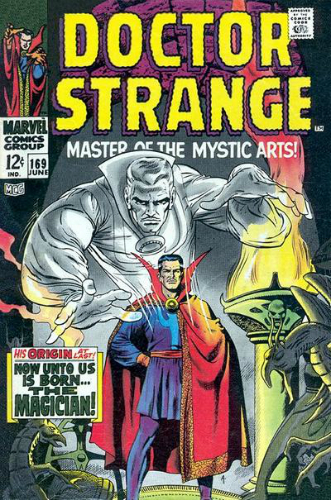 By the time of Doctor Strange’s debut in Strange Tales, the comic had already been around for 12 years as a showcase for Jack Kirby and Steve Ditko. 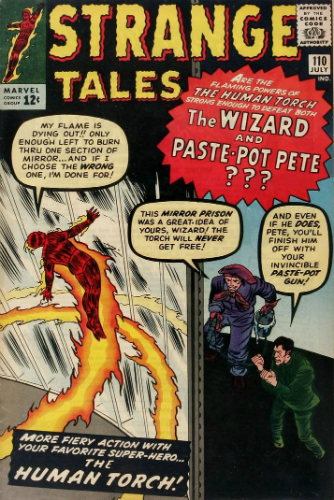 Doctor Strange began as a short story in Strange Tales #110 and was eventually included as a focus in every issue along with Human Torch and Nick Fury (#135). In May, 1968 (#168), Strange Tales was canceled and Strange and Fury were given their own titles. Nick Fury's comic would begin the numbering at #1 but the Doctor Strange comic numbering continued where Strange Tales left off. In addition, Marvel would release short-run stories under the Strange Tales title with issues #169-188 in 1973. 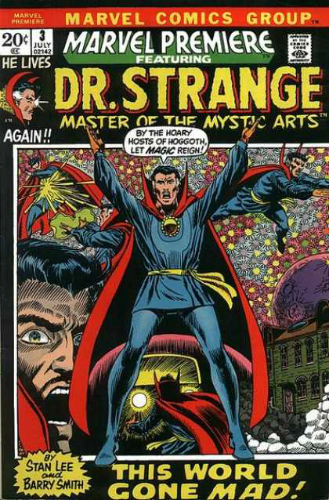 Volume one of Doctor Strange ran for 15 issues from 1968-1969 and, as mentioned above, picked up its numbering where Strange Tales left off with issue #169. Despite being a premiere eponymous title, graded copies of this comic can be found for relatively affordable prices. Many auctions often feature the complete series run in one listing which may, and should, be of interest to Doctor Strange collectors. Notable Issues: #169, #170, #171, #172, #173, #173, #175, #176, #177, #178, #179, #180, #181, #182, #183. A couple years after the cancellation of Doctor Strange, Marvel introduced a new anthology series, Marvel Premiere. Much like Strange Tales, this anthology was designed to showcase new characters as well as tell stories of established characters who no longer had titles of their own. 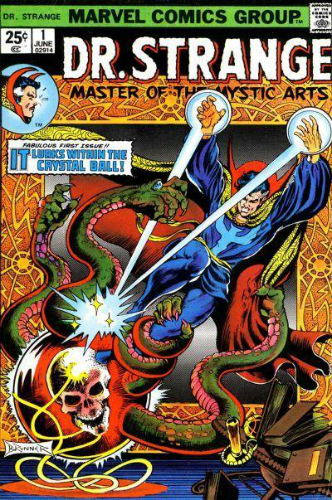 In issue #3 of Marvel Premiere, Doctor Strange became the focal point of the comic and the stretch of issues between #3 and #14 are regarded as some of the best of the decade. The comic itself went far beyond the 12-issue Doctor Strange run but collectors should focus their attention on tracking down these issues. Following the success of his run in Marvel Premiere, Doctor Marvel was again given his own title. Volume two debuted in 1974 and lasted for 13 years, releasing a total of 81 issues and an annual. If you’re doing the math and think that 81 issues is a little light for a 13-year comic run, you’d be very good at math. The release schedule for volume two was sporadic at best. In 1975, the book was semi-monthly beginning in February, but in 1976 the book was almost monthly with the exception of January, March, and November. Without going through every year, suffice it to say this was not a traditional monthly or semi-monthly release schedule. As has been a pattern with Doctor Strange since the beginning, the run of his self-titled releases is followed by a run in an anthology. In this case, the anthology in question is Strange Tales, volume 2, which was released over 19 issues in 1987 and 1988. Because of the time frame of these releases, the issues are incredibly easy to find for cheap. However, considering the short run, they should still be of interest to collectors seeking out a complete collection. 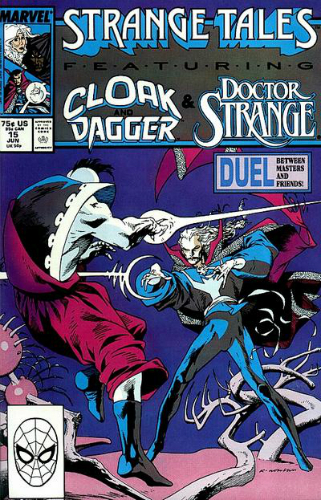 In keeping with tradition, the previous anthology again led to a self-titled series which was the longest-running Doctor Strange comic to that point. With 90 regular issues and three annuals, Sorcerer Supreme is the biggest portion of a full Doctor Strange collection but fret not because it is also one of the cheaper runs to obtain. For example, in March, 2016, the entire 90-issue series was auctioned for $175. Because of this inexpensive point of entry, if you’re passionate about beginning a Doctor Strange comic book collection, this would be a great place to start big. Following Sorcerer Supreme, there was a long Doctor Strange absence from comic book shelves, marking the first such void since 1963. 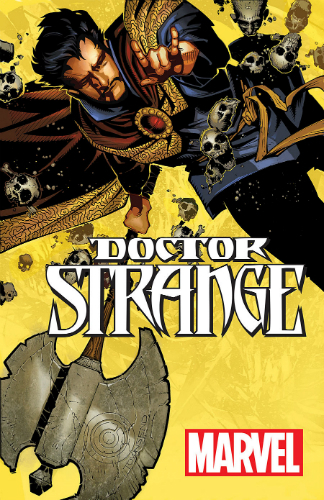 While the character appeared in many comics within the Marvel Universe, including The Defenders and The Avengers as well as a handful of short series and one-offs, Doctor Strange, volume 4 marks the end of a 14-year gap between major releases. Launched in 2015, this title includes several variant covers for collectors to track down and, since it is a contemporary comic, it is much easier to find copies in mint condition.